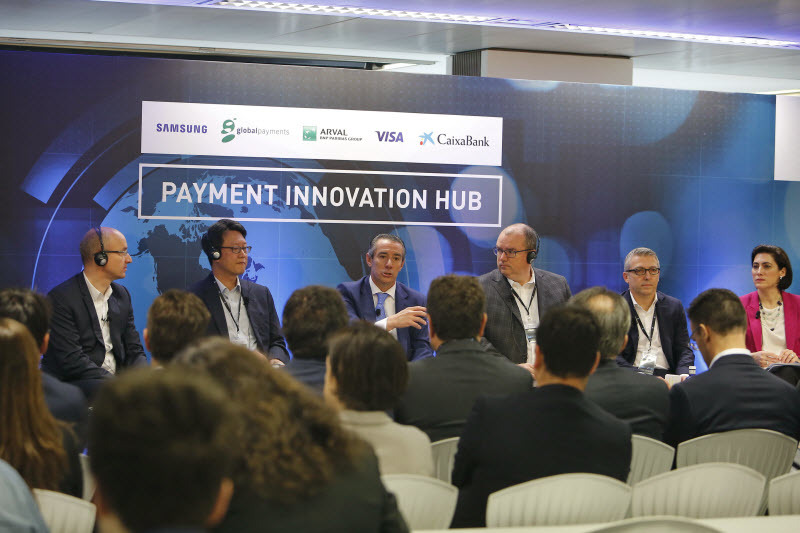 CaixaBank, Global Payments, Visa, Samsung and BNP Paribas’ subsidiary Arval have joined forces to set up Spain’s “first” payment innovation hub. The objective behind the hub is to “present society with the best possible user experiences in purchases and commerce, both online and offline”. The centre, which will be located in Barcelona, will specialise in research into new commerce solutions to cater to emergent consumer habits. The hub will also be open to collaboration with third party research companies (start-ups, SMEs and major corporations) and institutions. CaixaBank says investments of €5 million have been earmarked over the next three years to get it up and running. There will be three areas of research – solutions for connected cars; domestic applications, particularly the internet of things (IoT); and commerce. The hub will have its own custom designed offices, conference rooms, places to host regular masterclasses etc.